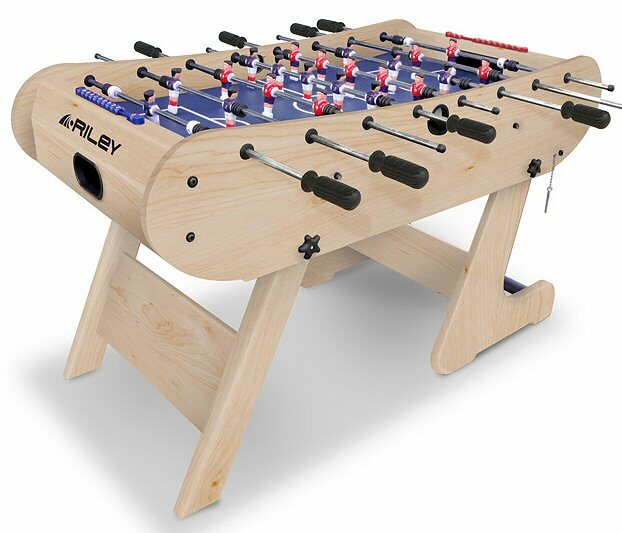 New design BCE Azteca folding football table with a light wood beech finish. Innovative NEW foldaway system means you can store your table away quickly and easily, saving a lot of space when not in use. This is a robust, long-lasting table, providing arcade-style table football at a very competitive price. Ideal for restricted playing areas and storage space. Includes Balls & Scorers. Includes Balls & Scorers. Minimum assembly required.